Miss Universe 2018 Catriona Gray on keeping herself grounded: "I always just remind myself why I do what I do, why I am Miss Universe, why I pursued this in the first place. And that, for me, is my advocacy. That work for me was to give that organization or that cause a voice on a bigger platform." Miss Universe 2018 Catriona Gray has been receiving overwhelming responses from her Filipino fans while her week-long homecoming festivities are ongoing. The 25-year-old Filipino-Australian beauty queen arrived last February 15, for a series of events and charity projects. This included her grand parade around Metro Manila on February 21, and in Araneta Center in Quezon City on February 23. 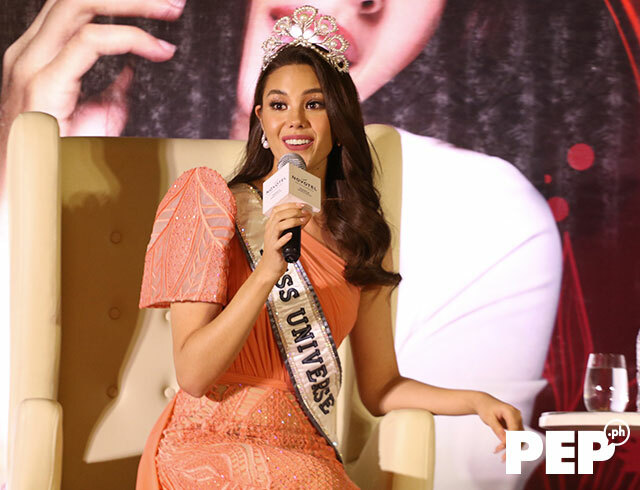 Catriona met up with PEP.ph (Philippine Entertainment Portal) and other members of the press last Wednesday, February 20, and was asked some pageant-worthy questions. As expected, the crowned Miss Universe was ready for a question and answer portion anytime. If you meet a blind child on your visit to Tondo, how would you describe beauty to him or to her? "Just because you lack one sense doesn't mean that you can't fully experience the world around you. And I pray that that perception that you create will be a beautiful one.'" With your journey as Miss Philippines or Miss Universe, what makes you so proud of being a Filipino? "It colored my journey to the Miss Universe crown. Everything about being a Filipina, whether it was in representing Philippines to the world because, of course, being Miss Philippines, people will take their impression of Filipino people from how I were to conduct myself. "So I really tried and endeavored to be a very good representation of my country in that aspect. "But also, in sharing our culture, our history, [through] the things like my national costume, doing a series of videos that I hope would further educate about the aspects that I highlighted within the costume. "Even in my wardrobe, sharing our textiles, our symbolisms, our inspiration as a nation through the avenue of fashion. 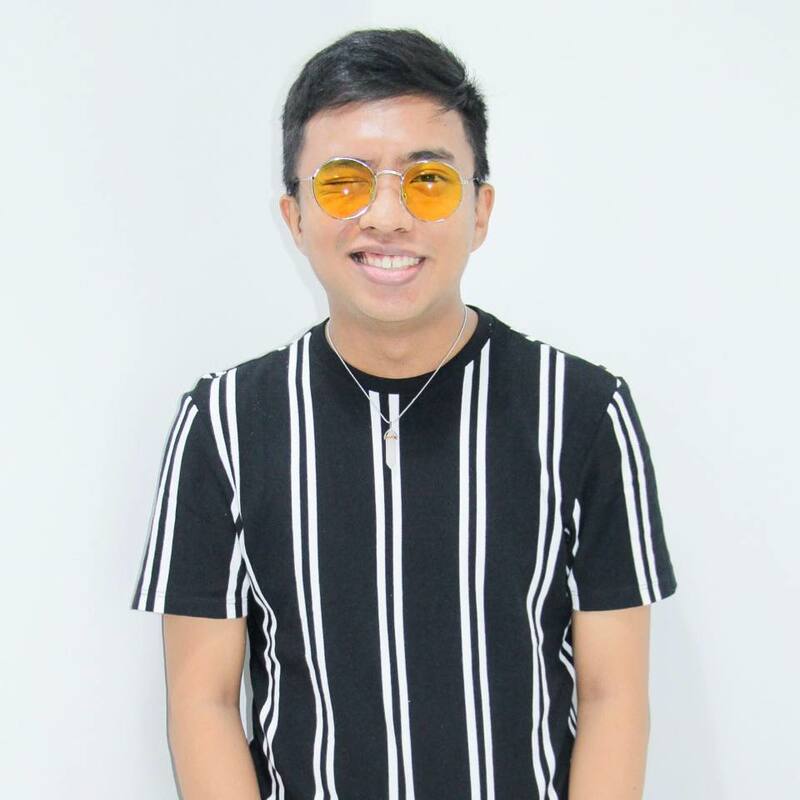 "And, of course, even in...every time that I spoke, I always wanted to push the advocacies here in the Philippines that have my heart, and so really encapsulated my journey as a Filipina. 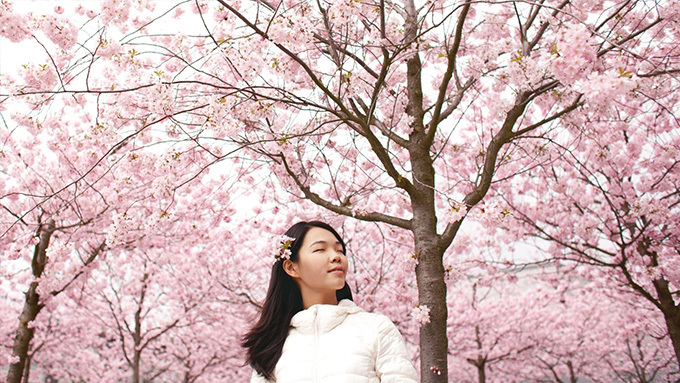 "And I felt that that was the most fulfilling part." Knowing what you know now about being Miss Universe, how do you think a woman prepares for the task of being Miss Universe? "It’s really, one, you need to be true to yourself because we’re so lucky here in the Philippines to be surrounded by amazing teams of people who will lift you up and carry you through the preparation. "But once you get to compete, you're all alone in a sense that you're by yourself. You may have them on social media, but essentially you are by yourself. "So you need to stay true to yourself and kind of have that strength, whether you draw it from an advocacy, whether you draw it from the supporters, whether you draw it from your family. "You need to have that strength because through those moments in the pageant when you are overwhelmed, when you are feeling doubtful—that's what happened to me—that's what I drew from, and it carried me all the way through. "Even until now, there are moments that I am homesick. I always remember why I'm here and it keeps me going." Describe Catriona Gray before and after you were crowned as Miss Universe 2018. "Before Miss Universe, I would say driven because up until the very last moment—I won't say that I was so competitive that I lost the heart of why I was there, but I really was focused. You can ask my team. I'm really, really focused talaga. That's just the person that I am. "But after Miss Universe, it was more like the feeling of I've been given so much, now I have a responsibility. Even though I have a responsibility as a Miss Philippines, but now, during my reign, it represents so much more than just being Miss Universe. It's like, 'What can I do as a Miss Universe?' So driven and responsibility." Some celebrities can't handle fame. How do you keep grounded? "This is something that I feel I will really be tested on this year. Just because really as a titleholder, you're flung into that platform overnight. There's no gradual build. It's just you're crowned and then you're there. "But I always just remind myself why I do what I do, why I am Miss Universe, why I pursued this in the first place. And that, for me, is my advocacy. That work for me was to give that organization or that cause a voice on a bigger platform. "But also, I feel a lot of it is going to be about me keeping my friends and family close. Because I feel like it's always important to have people around you that you trust, that can kind of keep you in check. Like, 'Hey Cat, time to settle down now.' Or you know, just people who, out of love, will just keep you in check, and I feel very blessed that I do have that circle of friends that I do have that family and that is how I am gonna deal with it."